This December the interior looks very harmonious and interesting design for the New Year looks very nice, and not distracting. Some items are present, as well as in everyday life. Tree and accessories for the New Year is not quite standard forms and shades. Without special lights and colorful toys is quite possible to create a festive atmosphere that will bring to your vacation home. 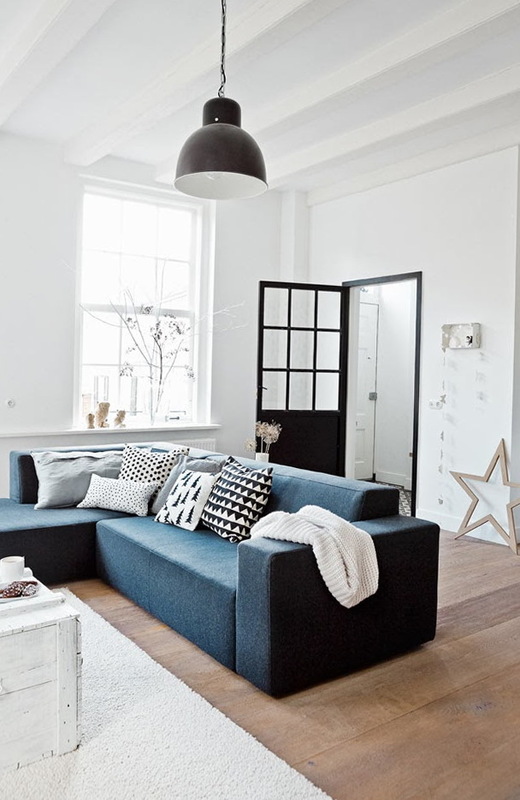 The living room is done in a Scandinavian style, if you pay attention to the wall, there is a beautiful wall with glued-trees, a timing pattern, which can be taken away after the holidays. 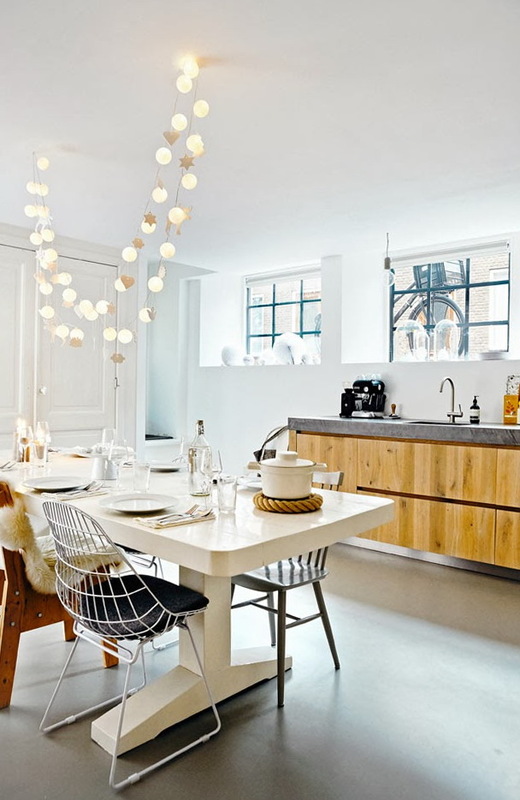 Without cluttering the apartment owners have managed to create a festive atmosphere does not change color. 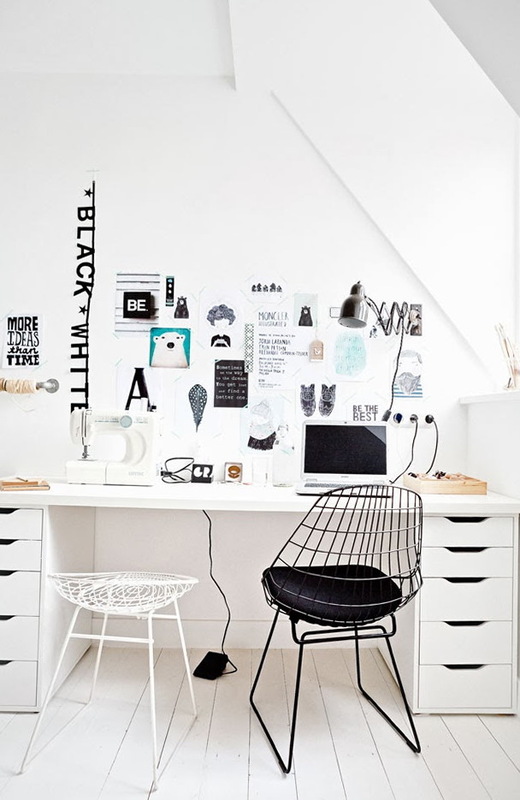 The owner of this house loves the combination of black and white, so all of the items in this style. Even garland made with the inscription black and white. Almost all the furniture bought Ikea, and as always looks harmonious. 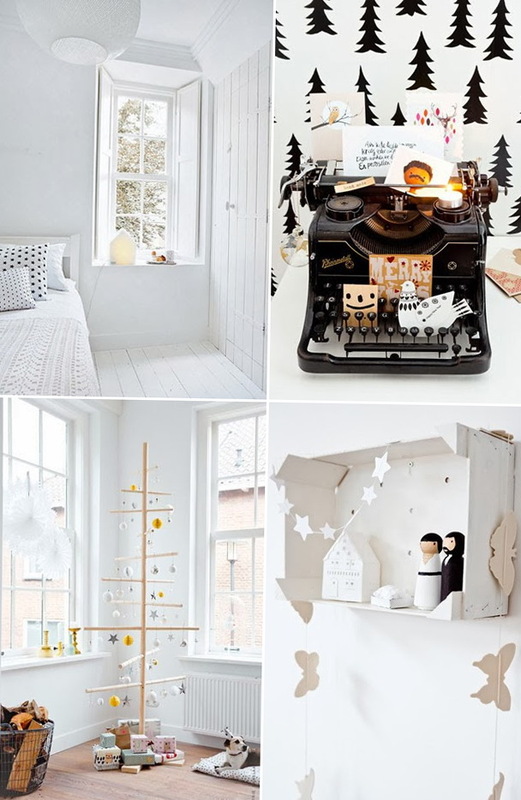 Bedroom in a white style looks very festive and a little cool on the windowsill there is a beautiful lamp in the shape of a snow house. Christmas tree made of light very original wooden sticks and hung yellow and silver balls that make the room brighter paper garlands very profitable and not expensive for anyone. The apartment can be expanded with beautiful New Year greeting cards. Even the pet does not go unnoticed, it is also decorated festive cap. Beautiful, bright and beautiful garland is light in the room and looked over the dining table – delicious. Window sills are decorative balls that resemble snowballs and ice tops. The table is very symmetrical look of the interior, despite the fact that the kitchen in another room.